This year, to get to the SCAA 2015 event I took the long way to Seattle (via Dallas/Ft. Worth…) I left Manhattan at 6:30am EDT and by the time I reached my hotel in Seattle at 7:00pm PDT I had finished rereading When Coffee Speaks. 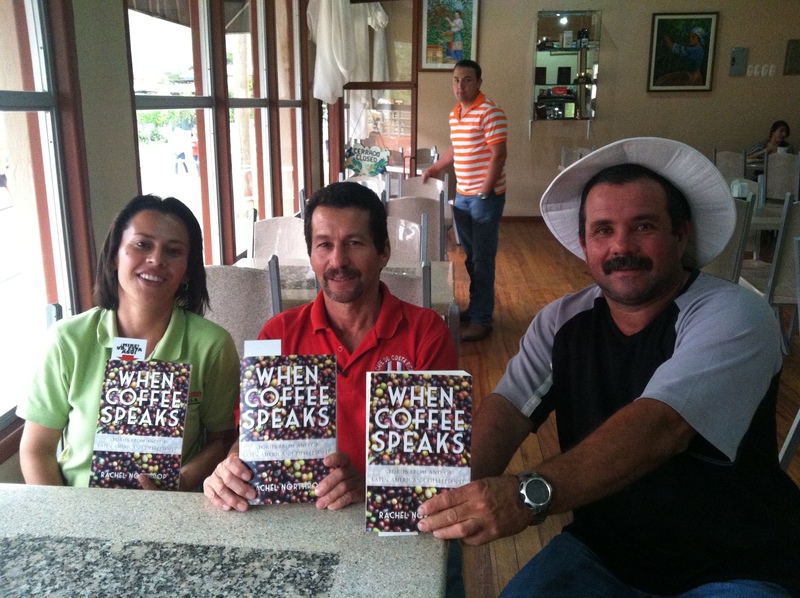 It has been over three years since I recorded most of the conversations with coffeepeople in Costa Rica, Nicaragua, Panama, and Colombia that eventually became When Coffee Speaks, but people’s perspectives, thoughts, and stories are as relevant today as when people first shared them. I’ve taken some time off from coffee in the past year, but I have kept in touch with many participants in the When Coffee Speaks project, and even though their lives and farms have of course evolved, the essence of what people shared is as true as when they first sat down to speak with me. My practical goal of rereading was to check for any final edits before I launch an ebook version and move When Coffee Speaks to a more affordable printing platform that will allow local bookstores or cafes to purchase copies for resale (more on this soon!!). But, since I’m so wholly in the mindset of grad school and automatically annotate everything I read, I found myself starring and marking quotes that captured the voices of people I miss and can’t wait to talk to again. Below are a few of my favorite soundbytes from coffeepeople in When Coffee Speaks. “I also went to pick coffee when I was young. Maybe fourteen. I went with my husband, because I was already married. I got married when I was fourteen. And at fifteen I was working, picking coffee and planting it in the almacigos. Wrapping the roots, picking more coffee. And I’d even help my husband prepare land to plant the coffee. “Even if we aren’t making a lot of money, if the person who bought it could at least recognize it as organic, that would be better… One producer alone—no one will listen to you or give you any opportunities. But when you have an organization behind you, that’s when you can receive help and support from other sources. Hopefully there’s something left in the ashes. Or the roots, let’s call them… Right now we’re in the middle of a river; and we don’t know if it’s better to keep crossing or go back where we came from. 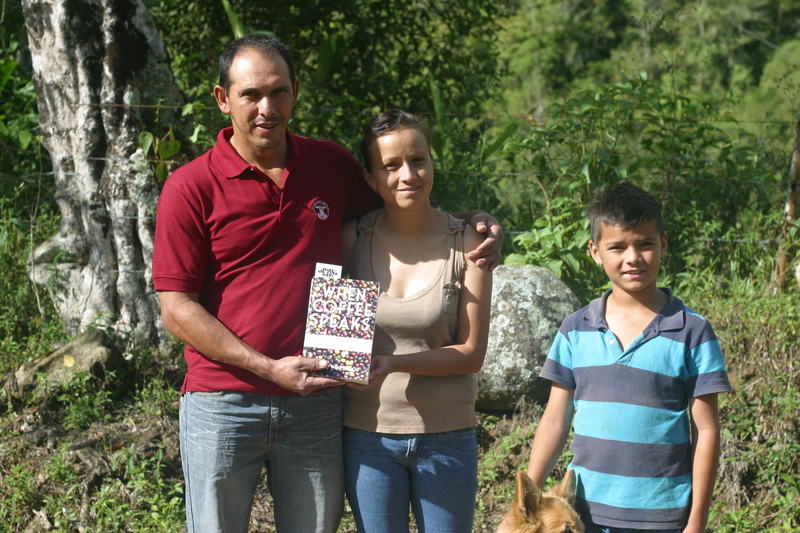 “Like my buyers say, “Happy people make happy coffee.”… Coffee is generational. And all my children love the farm. They’ve been here since they were three months old. Part of the crisis that [coffee growers] have all over the world—in Africa, Vietnam—is that the youth don’t want to be farmers.” –Henry, p. 111. …and their other son Alejandro. 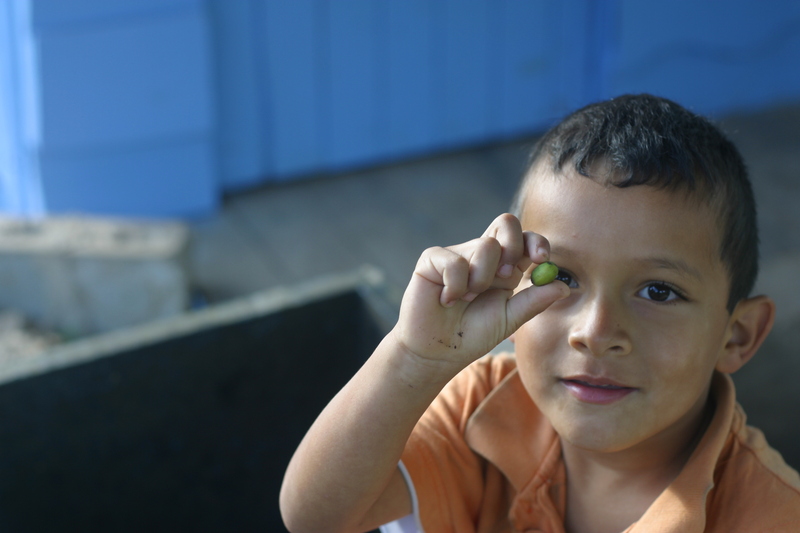 Busy scouring the beneficio for errant under ripe coffee cherries. 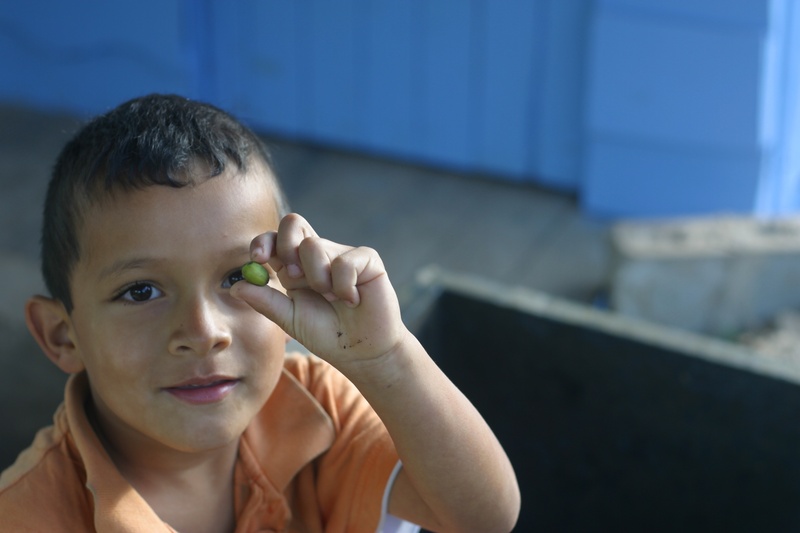 The stories of coffeepeople go deep into the grit and nuance of being an agricultural producer, but the narratives people shared also offer ways to think about family, business, perseverance, faith, environment, technology, resilience, community, and so many spheres that transcend a single industry or crop. Hopeful, reflective, angry, honest, exaggerated, dramatic, raw, painful, nostalgic, content; stories take us right to the core of what it looks like to fight the fight and celebrate the joy of living; the vague identifier “coffeepeople” is just one random way to slice a cross-section of people who have a thread in common. If you drink coffee (or even if you don’t) you have an excuse to grab that thread and recognize yourself in this particular collection of stories from people who live thousands of miles away, speak another language, and engage in types of work that don’t exist here in the US. Three years later, I remain eternally grateful to everyone who was willing to share their perspectives on coffee and life not just with me, but with anyone who wants to read their words today or in the future. This week is the Specialty Coffee Association of America’s international Event in Seattle. As much as I love a perfectly pulled shot of microroasted espresso, I stand firm in my conviction that people are what really makes coffee special. 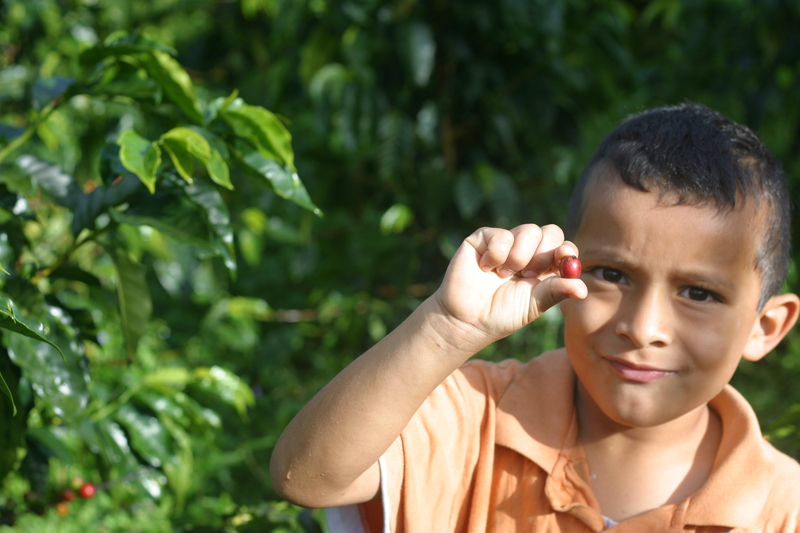 And then scouring the cafetal for nice ripe coffee cherries. This was so awesome!!! It really gove light to the depth of experience and the humanity behind the cup of life-giving coffee I drink every day. My higlights: Lucy-14!! Wow. Just wow. Haydee- the idea of putting love into what we do is what life should be about. Rocio-Yassss girl! Guillermo- put that shxt on a tshirt! So inspiring. I’ll be writing that one down. Thanks Ash! I certainly met a lot of quote-ably wise people making the book. But you can make your own share of tshirts too!